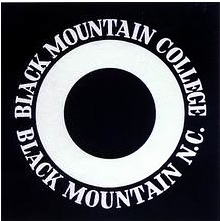 JACK TWORKOV: The Accident of Choice, the artist at Black Mountain College is a historic exhibition of important works by Tworkov, who taught painting at Black Mountain College during the summer of 1952. On view will be paintings and drawings by Tworkov ranging from 1948-52 including works from one of the artist's most noted series, House of the Sun that began at Black Mountain College. Also on exhibit will be letters, photographs, and ephemera from students and fellow artists including Fielding Dawson, Franz Kline, Robert Rauschenberg, and Stephan Wolpe; photographs of Jack Tworkov at Black Mountain College by Robert Rauschenberg, and several original works by Rauschenberg from 1952. A fully illustrated catalogue will accompany the exhibition including an essay by the exhibition curator, Jason Andrew; a never-before printed interview with Jack Tworkov conducted by the historian Irving Sandler in 1957; and a re-print of the article Tworkov Paints A Picture written by Fairfield Porter and published in Art News in 1953. The exhibition is curated by Jason Andrew.